Everybody in the TV business knows South Korea turns out some great scripted series, but the hotly anticipated launch of Moon Lovers: Scarlet Heart Ryeo on SBS, scheduled for August 29, is especially interesting. The first reason for this is that the show is based on a Chinese series, which itself is based on a Chinese novel. A time-travel romance that premiered on Hunan Broadcasting System in 2011, the original version tells the story of a 21st century woman who is propelled back in time to China’s Qing Dynasty after a near-fatal accident. In the Korean version, the heroine will go back to the Goryeo Dynasty. The Chinese industry must be delighted to have exported a hit idea to Korea, having spent much of the past few years being on the receiving end of costly Korean content. The second reason is that the Korean version of the show has been made with financial backing worth US$10m from NBCUniversal. On previous occasions, NBCU has acquired international rights to Korean dramas, but this is the first time the company has put up funding ahead of production, according to local press reports. All of which suggests increased demand for a brand of drama that was already doing phenomenally well in China and Japan. The third reason is that Moon Lovers will be aired in China (Youku and Mango TV), Hong Kong (LeTV), Japan (KNTV), Malaysia, Singapore, Brunei and Indonesia (all Sony’s ONE channel) at the same time as in Korea – an illustration of how day-and-date distribution is now as important in Asia as the rest of the scripted TV world. The pickup by Sony’s ONE channel is notable, since it shows the extent of Korean drama’s appeal across Asia. ONE has enjoyed a lot of success airing K-drama across Southeast Asia. Recently, it scored strong ratings with Doctors, another SBS show. The fourth reason why Moon Lovers is interesting is that it is part of a growing trend for Korean dramas to be produced completely before launch. Traditionally, Korean broadcasters have started to air scripted shows before the production has wrapped. The advantages of this are a) they can get to market more quickly; b) they can make editorial changes as they go; c) they can keep the finale of shows secret from adoring K-drama audiences; and d) they can pull the plug on a show early if it is rating badly, thus saving the cost of production on a number of episodes. There are, however, two downsides. The first is that this seat-of-the-pants-style production makes quality control more difficult. The second, more importantly, is that it can have a dampening effect on the international distribution value of a show. The reason for this is that many of K-drama’s key export markets – particularly China – are content censors. So broadcasters/platforms there are reluctant or unable to acquire shows until they have seen the entire run of episodes. Given the premium value that now exists for day-and-date distribution, this means Korean content creators need to produce all episodes pre-transmission to generate the maximum international returns on their shows. There was another example of this in action earlier in 2016. KBS created a drama called Descendants of the Sun, about an army captain who is posted abroad, where he falls in love with a surgeon working with an NGO. The show was a big hit at home, but because it was entirely produced pre-broadcast, it was able to satisfy China’s censors and secure a lucrative deal with iQiyi. The result has been in excess of two billion views on iQiyi. A final note on Moon Lovers: a second season of the Chinese original aired in 2014. So if the Korean version does well in the next few months there is more material to go back to. The two Chinese series are both 35 episodes, the Korean version is 20. Separately, Sky Atlantic/Canal+ drama The Last Panthers recently finished airing on Sundance Channel in the US. As in the UK, it didn’t attract especially good ratings, finishing with around 38,000 viewers (having started its run at the 60-70,000 mark). Nevertheless, the Haut et Court TV/Warp Films production has done pretty well in distribution for StudioCanal and Sky Vision, which share the international sales job. Today, for example, it was revealed that the six-part crime series has been acquired by DirecTV Latin America, the leading satellite television provider in the region. This deal isn’t a fluke either. 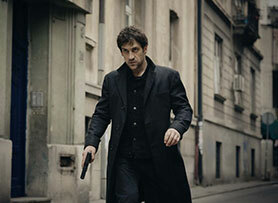 According to StudioCanal and Sky Vision, the show has sold to 122 territories in total. Other broadcasters to have come on board include SBS Australia, HBO Nordics and Fox Networks’ Crime channels in Eastern Europe. The question, of course, is why buy a show that only attracted 38,000 viewers in a market of 116 million TV households? Well, it could be down to price or a favourable agreement in terms of windowing (box sets and so on). But, increasingly, pay TV platforms and channels also see value in securing shows that have achieved a certain amount of critical acclaim. The Last Panthers hasn’t won any high-profile awards yet but it is on a few shortlists. And it does feature an excellent cast (Samantha Morton, Tahar Rahim, Goran Bogdan and John Hurt, for example). Factors like these – not to mention the fact it was written by the in-demand Jack Thorne – have an in-built brand value that can make a subscription service stand out in the eyes of potential and existing customers. In other words, it’s almost possible to view the acquisition rights fee you pay as a kind of marketing investment in your business. Of course, this thesis only works up to a point. At a certain stage, shows have to deliver audiences too. There was a good indicator of this point this week with the news that Participant Media is shutting down its cable channel Pivot. Maybe this is the first indicator that the US scripted TV market is heading towards a contraction, since it removes a potential buyer from the market. 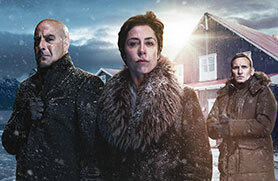 In a neat link back to Sky Vision, Pivot aired the company’s Arctic thriller Fortitude in 2015. This means the distributor will now have to try to find a different home for the show’s second season. 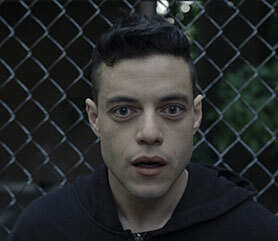 In other news this week, USA Network has ordered a third season of its critically acclaimed hacker drama Mr Robot. Elsewhere, Lifetime is piloting A Midsummer’s Nightmare, a psychological thriller based loosely on Shakespeare’s A Midsummer Night’s Dream. If the show goes to series and is successful, the idea is to create an anthology-style scripted franchise in which each new season is a contemporary horror story based on a Shakespeare play. There is no news yet on what title might come next but how about: MacDeath, otHELLo, The Vampest, Thirteenth Night, The Maiming of the Shrew, The Comedy of Terrors or All’s Well That Ends in Hell…?